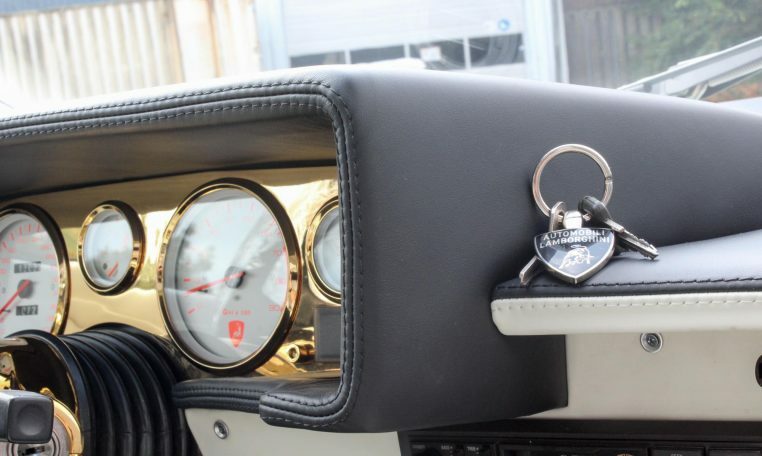 Frank Sinatra once said: “You buy a Ferrari when you want to be somebody. 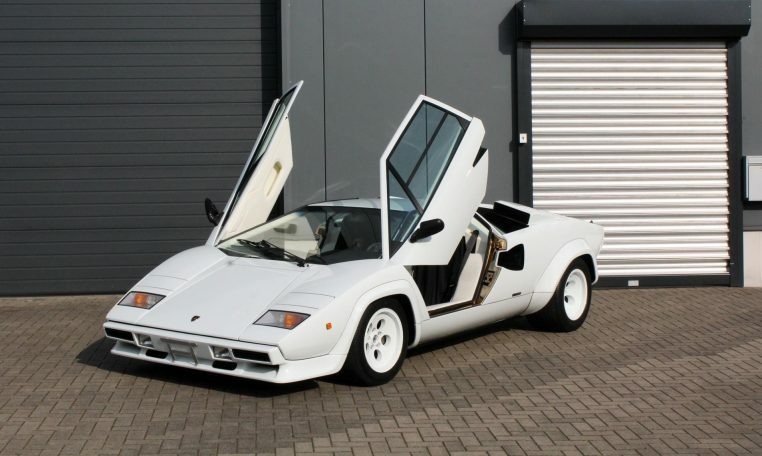 You buy a Lamborghini when you are somebody.” Although they both are iconic cars from the 80’s, this ’87 Countach 5000 QV made Ferrari’s Testarossa stand in it’s shadow for sure! 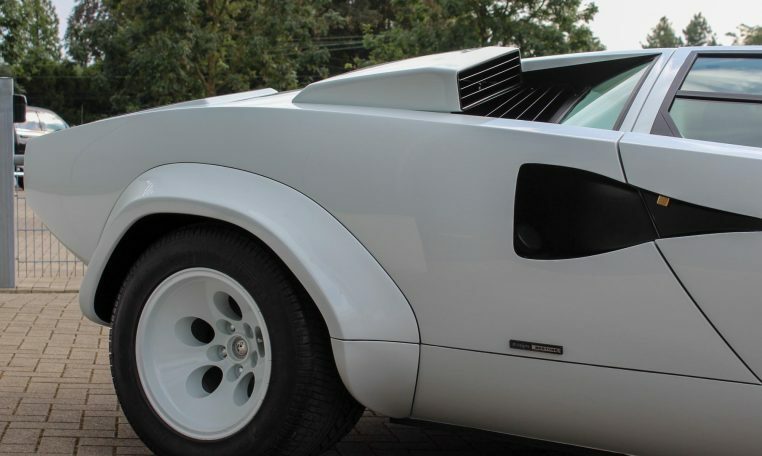 This particular Countach was designed for the American market and was equipped with a Bosch K-Jetronic fuel injection system providing a massive 414 bhp (EU versions had still Weber carburetors). 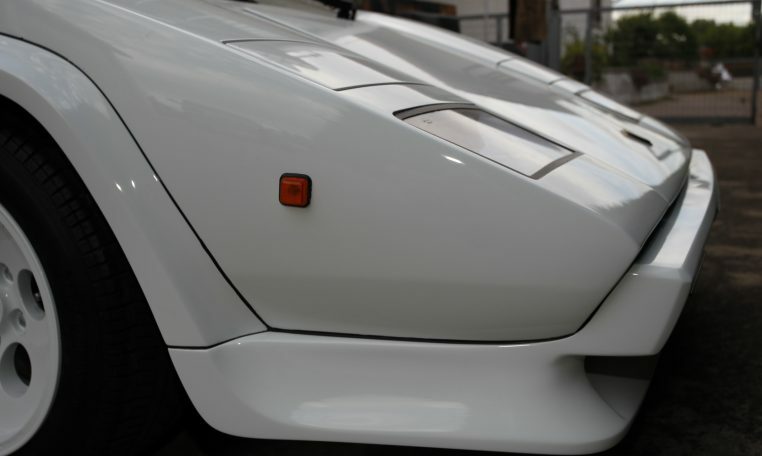 The car originally left Italy in 1987 for the USA and stayed there for almost a decade after which it was shipped to it’s new owner in Japan. 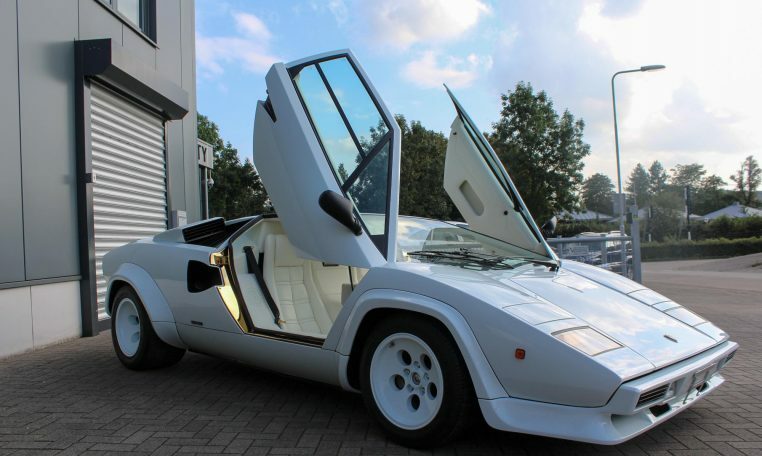 In 2014 we came aware it was for sale but far from it’s original state. 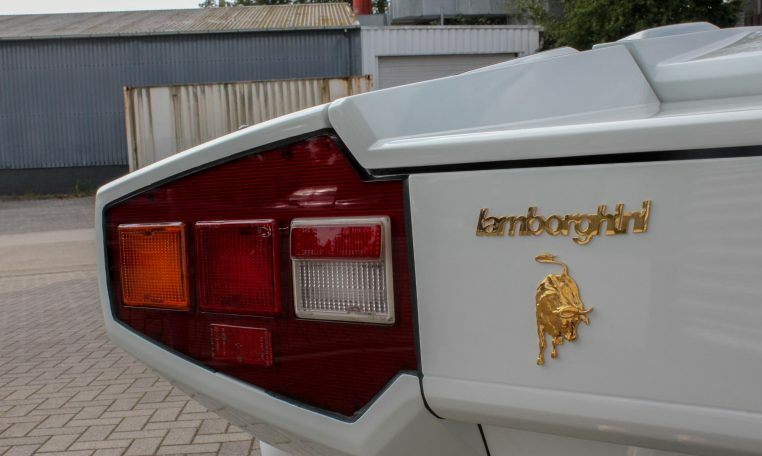 We shipped it back home to it’s creator in Italy to receive a total restoration at Lamborghini’s newly formed Polo Storico division. 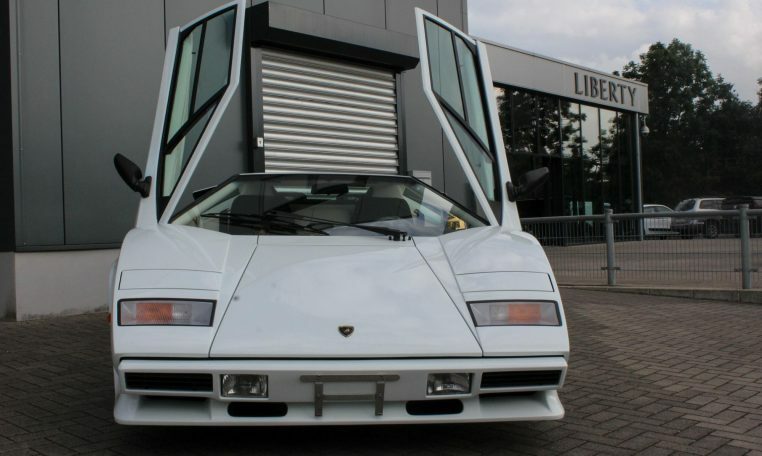 It took a full year to be restored to it’s original state by experts at the Lamborghini factory using original parts and it is now certified as authentical vehicle by Lamborghini’s technical committee. 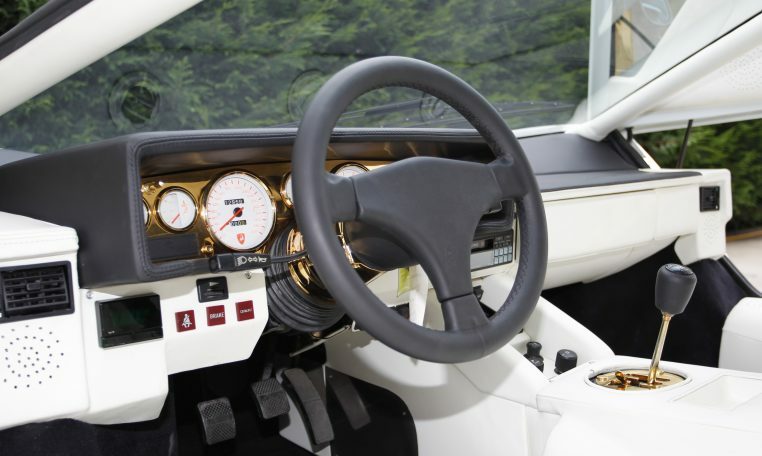 During the restoration process something unique came to our attention, this very Countach (of which 610 were built), was one of the two ever specially built “Gold Package” versions, meaning that all door- and interior parts of the car are gold plated! 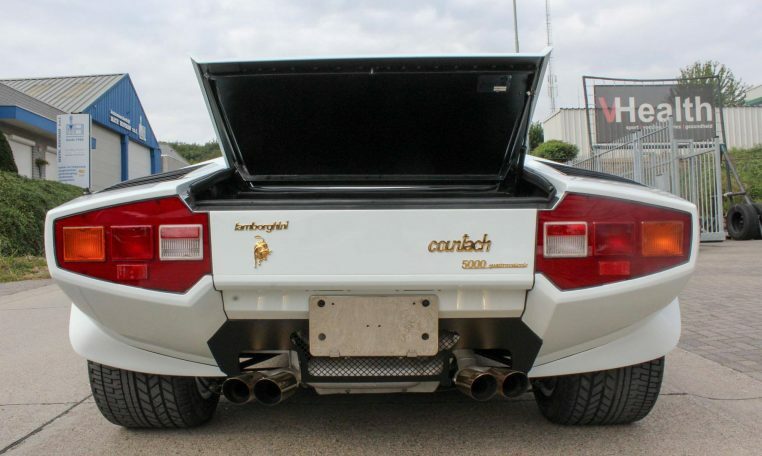 For those who notice that this Countach doesn’t have it’s wing anymore; we took it off because it was an aftermarket addition. 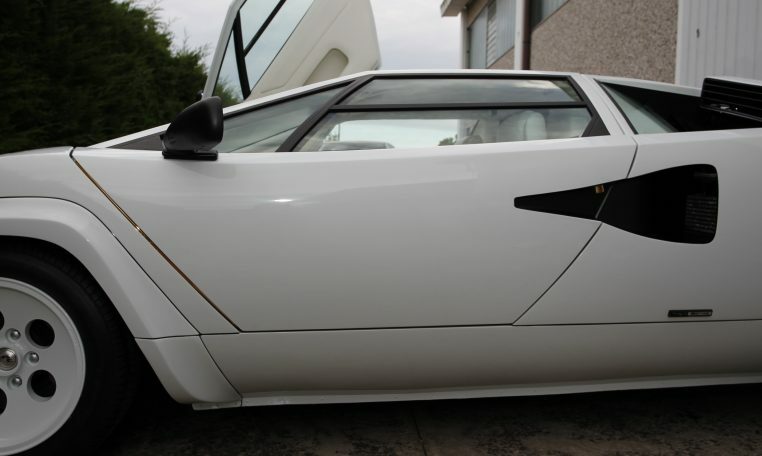 The Countach was anyway designed in such a way that it doesn’t suffer from aerodynamic lift. 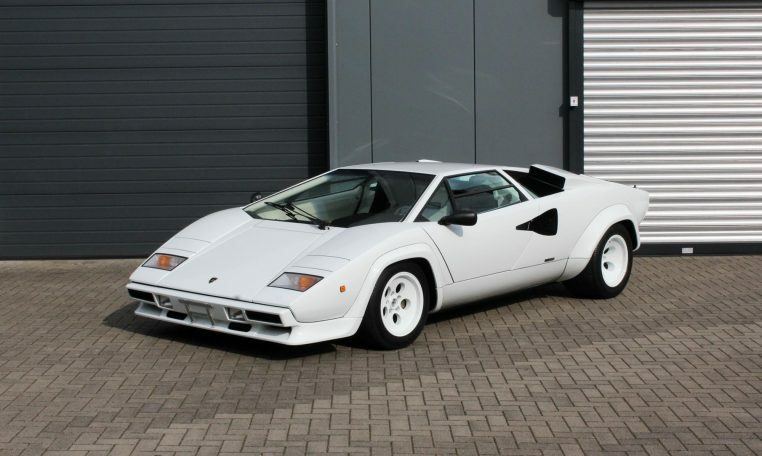 For collectors and investors, this is absolute an interesting car to include in their collection. 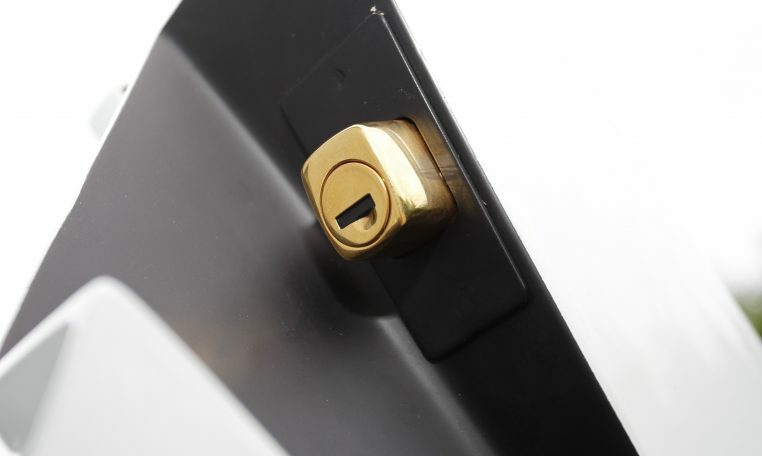 Body Sheet Steel, Sheet Aluminum, Fibreglass-reinforced plastic. 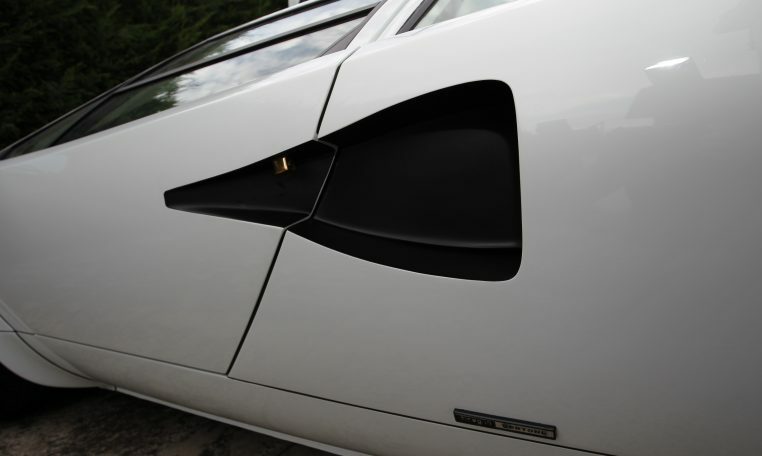 This vehicle has a 2 door coupé body style designed by Bertone with a mid located engine driving through the rear wheels. 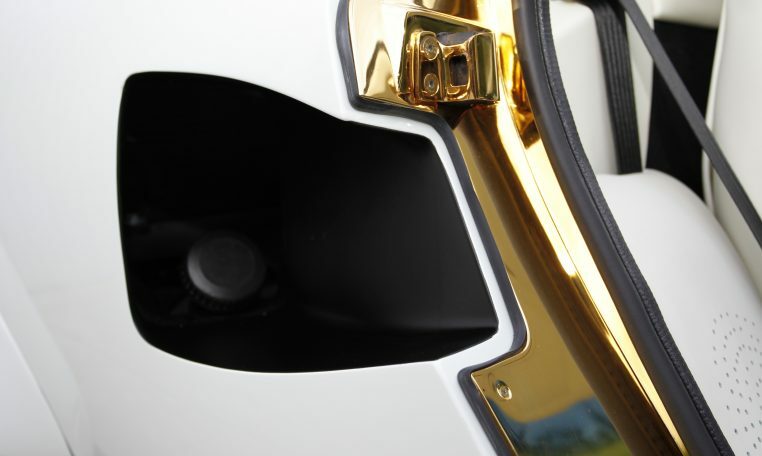 It is powered by a naturally aspirated engine of 5.2 litre capacity. 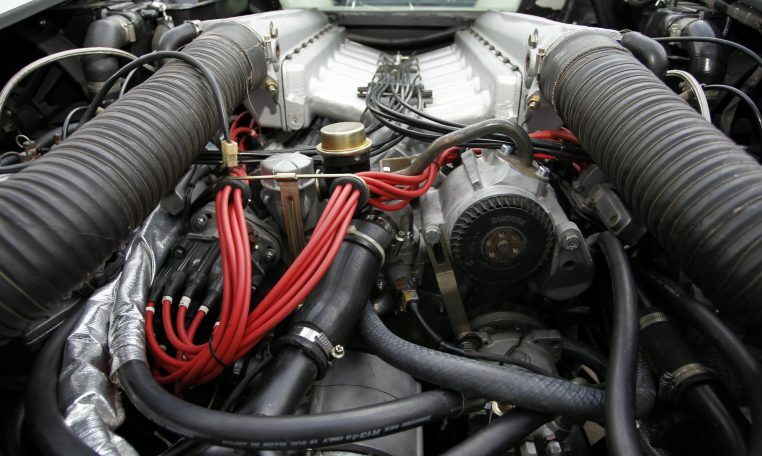 This unit features double overhead camshaft valve gear, a 60 degree V 12 cylinder layout, and 4 valves per cylinder. It has an output of 420 bhp (426 PS/313 kW) of power at 7000 rpm, and maximum torque of 461 N·m (340 lb·ft/47 kgm) at 5000 rpm. 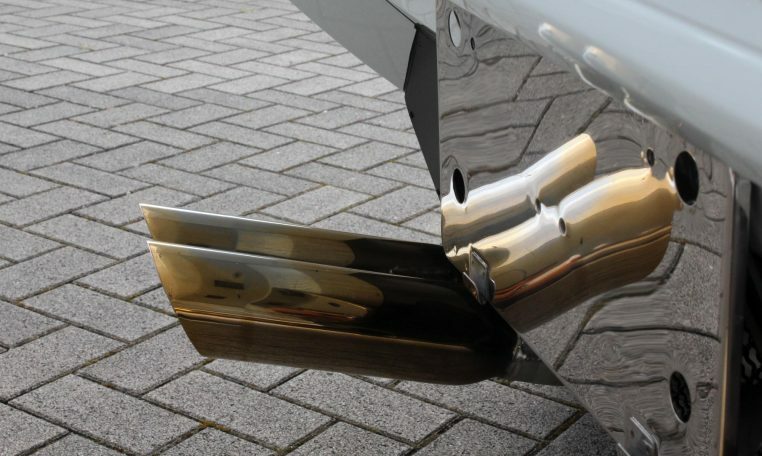 Quoted weight at the kerb is 1490 kg.